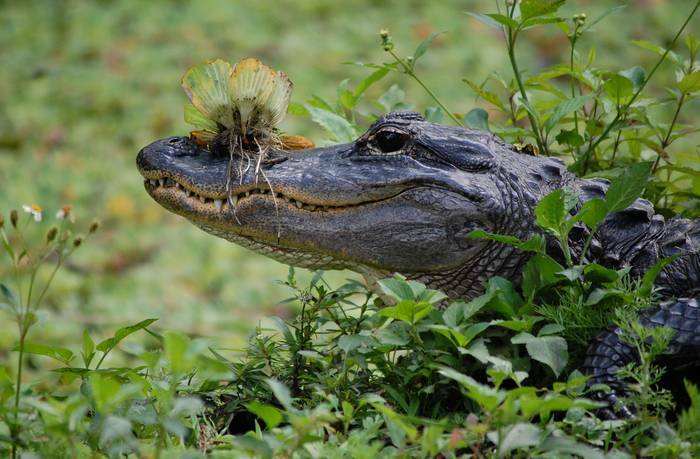 What are Some Interesting Facts About Alligators? Alligators are carnivorous reptiles who live in and near freshwater lakes, swamps and marshes of southeastern United States and China. The American alligator is most abundantly found in Louisiana and Florida, with more than one million found in each state. A fully grown American alligator weights about 800 lbs. and is 13 feet long on average. The Chinese alligator is half that size with only about one dozen found in the wild along the Yangtze River. Alligators are apex predators and have no natural enemies in the wild. They eat fish, snails, turtles and any small mammals that reside in their habitat. A juvenile alligator grows an 1 inch per year until fully grown at about 6 years old.